Let’s first talk about the 7 in 1 smarTfold. This product is great for youngsters starting as young as nine months and goes up until thirty-six months. There are seven different stages for this amazing trike, from parent navigation to pedal mode when your little one can go on their own. Both my twenty-three month and three-year-old love this trike. 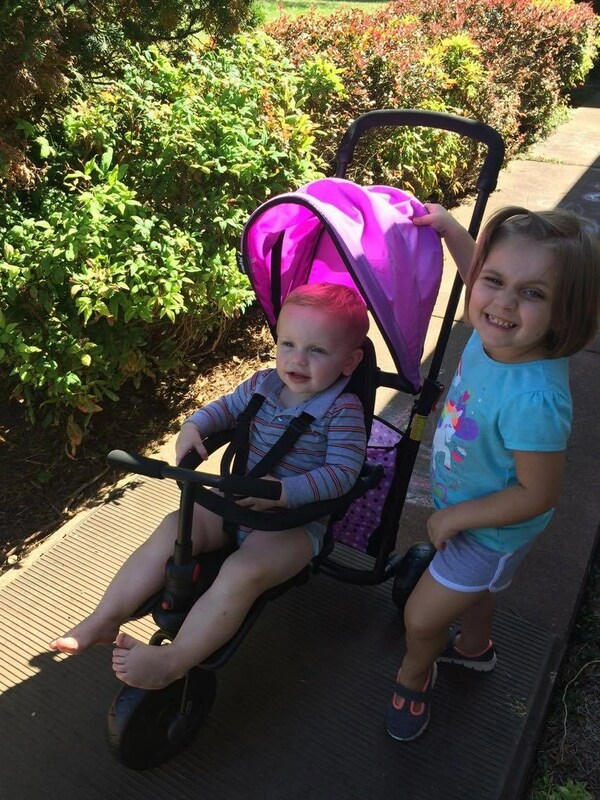 My youngest isn’t quite ready for the pedal mode yet but loves to try it when his sister gets on it. 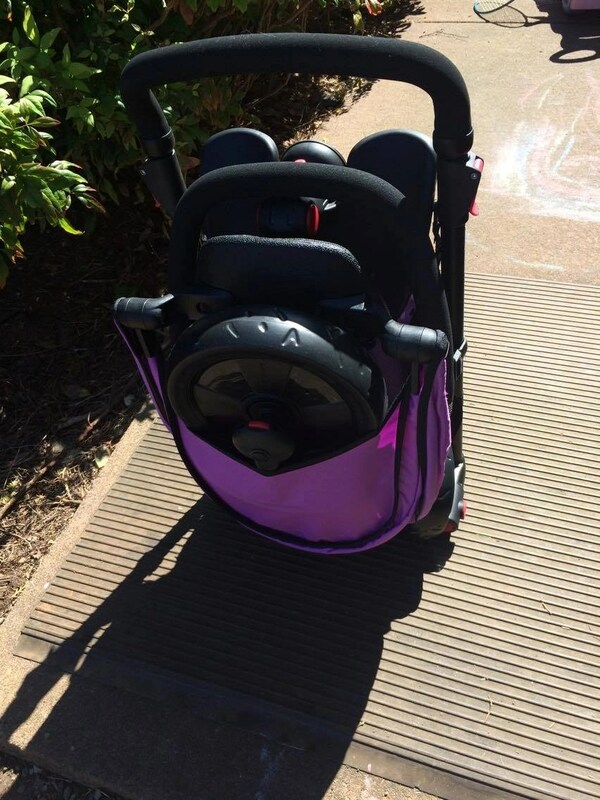 For smaller babies, there is a safety harness, canopy to protect from the sun and footrest, that way you can transition as you go. The best part is the fact that the 7 in 1 smarTfold folds down and has really convenient storage capabilities. It folds down to fifteen percent of its original size, and when you have more than one child saving space is a must-have. We love this SmarTfold! You can find other versions of the SmarTrike at Target. Next product is the awesome Magic Sketch Boogie Board! I originally got this for my oldest daughter who is almost six and I tell you what, her and my other two are constantly wanting to play with it. I’m actually going to have to invest in at least one more if not two. 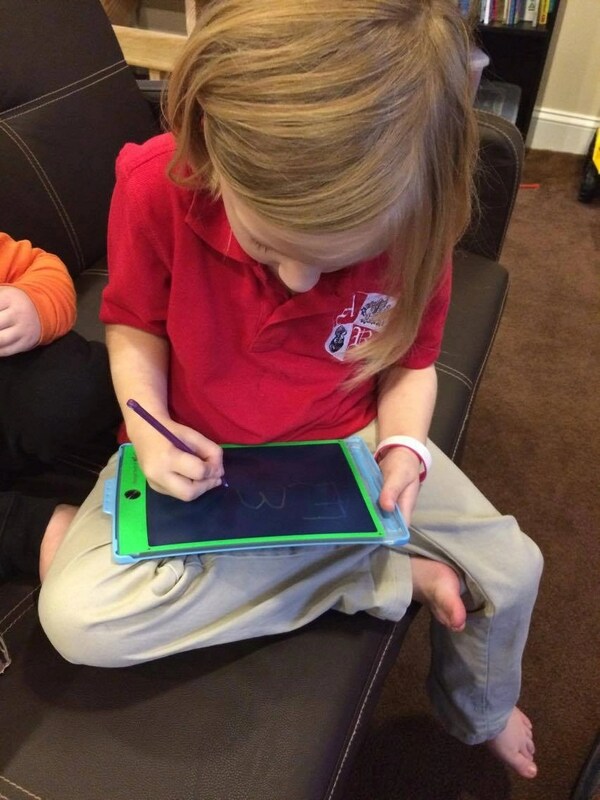 The Magic Sketch Boogie Board is awesome because it lets kids doodle, draw, and sketch. There are so many neat tools included, from stamps to pages that you can trace. There are traceable, such as letters, numbers, and basic math. My oldest spent over an hour and a half drawing the first day she got it and I had to actually make her put it away for bedtime! 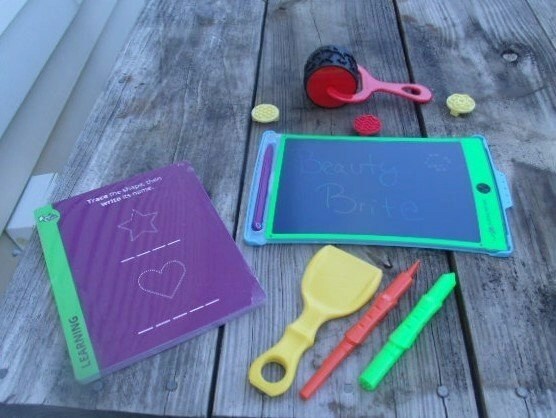 The Magic Sketch Boogie Board is great for the car too and is water resistant and is mess free. I’d recommend this for your little artist in the making. 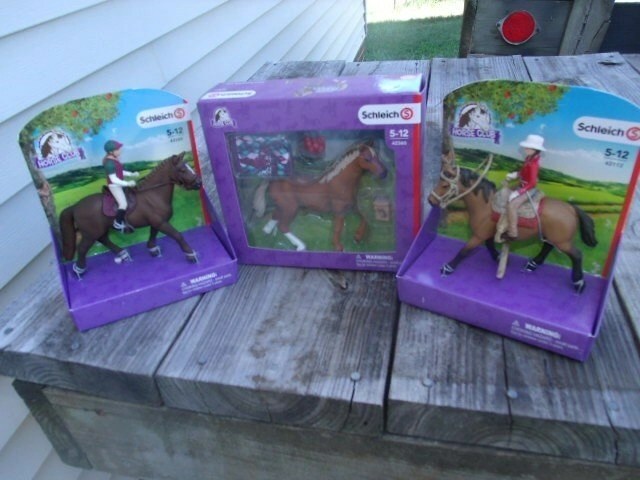 Third product I’d like to tell you about is from Schleich’s Horse Club. Schleich is one of Germany’s largest toy creators. They have been in business for over 80 years and create beautifully created hand-painted figurines to enhance children’s play and imaginations. I was given three beautiful horses, first was the Western Rider, Eventing Rider, and finally the English Thoroughbred with Blanket. These are some of the most detailed horses I’ve seen created. I can’t wait to see my daughters face when she opens them up Christmas morning. These would be perfect for any horse lover. These are recommended for ages 5-12. Are you looking for some bath time fun? Well, SoapSox has some awesome new bath toys that your little one will love! It is the next generation of washcloths and your child will fall in love with them. As soon as I unwrapped ours my almost two-year-old took off with the Mickey Mouse SoapSox. We also received an Ariel SoapSox that my two girls fell in love with. You can choose from Gators to whales and some of your favorite Disney friends. Bathtime is so much fun with these cuddly new friends. 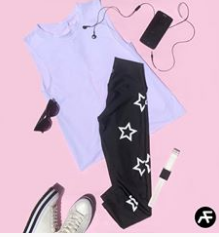 Perfect for any age. And finally, something for everyone, it’s never too early to start reading to your child. I’ve found a great book about Cutie the brave rescue dog! 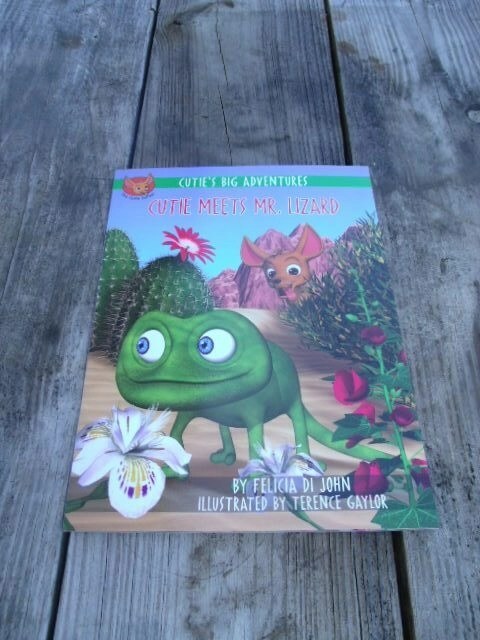 In Cutie’s Big Adventures: Cutie Meets Mr. Lizard by Felicia Di John, we meet Cutie the rescue dog, looking for big fun and adventure. Cutie heads out to the desert and makes new friends like Mr. Lizard and finds out lots of interesting information about many other animals, but can she make it back home before her mom arrives back? 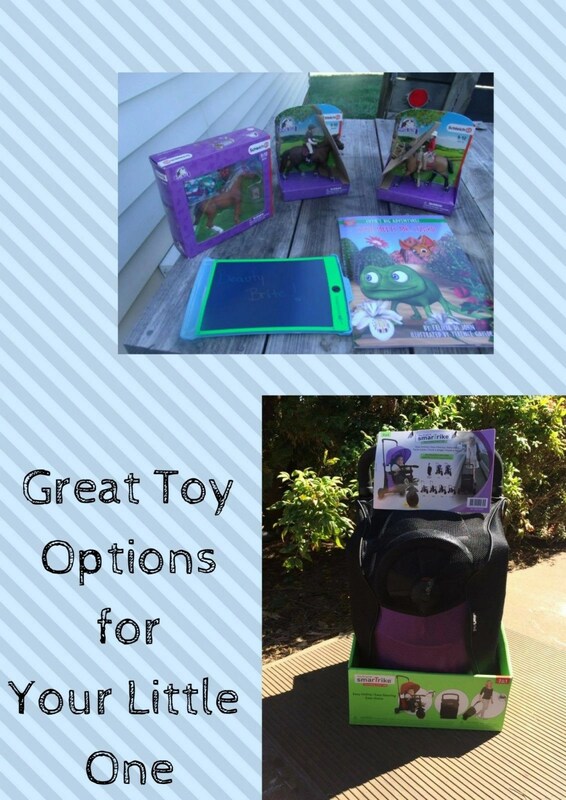 I hope these options can help you choose something new for your little one. No matter if it’s for birthdays or Christmas or just something for fun these are some of the best products out there in my opinion. 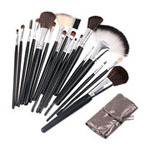 Are you interested in finding one of these products? I’d be more than happy to help you out follow the links below for more information. We have the Magic Sketch on our Christmas list. I love the soap box mickey. Some of these would be amazing for my nieces. This is a great list for anyone with little children. I think my ten year old is probably too old for most of this. The magic sketch is a must have for kids of all ages. It is pretty awesome! Thank you for sharing. The Mickey Mouse Soapsox would be just right for my little granddaughter.